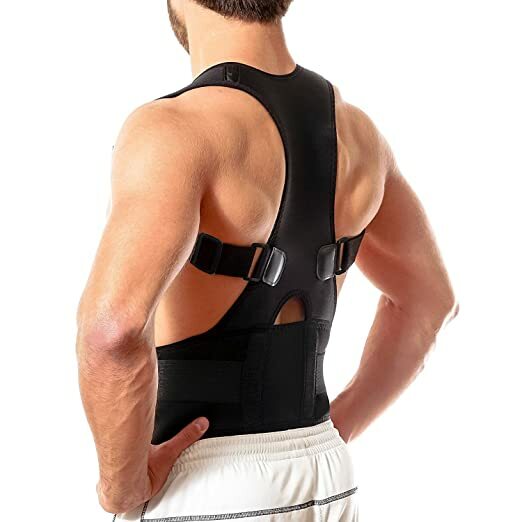 ✅IMPROVE POSTURE - Our FlexiGuard Posture brace works by training your muscles and spine to return to their natural alignment. The included Posture Booklet provides additional information and exercises. ✅STRONG YET COMFORTABLE - Our durable and comfortable design allows effective assistance while being comfortable to wear. The cushioned straps pull your shoulders back while our waistband supports the middle and lower back. ✅FLEXiGUARD SUPPORT is not just a brand. We deeply care about our customers and about making sure that the buyer gets what they want. We love giving our customers great value and great customer service. We are also here for any questions or comments, so send us a message!